Leong San Tong Khoo Kongsi's Clan House and Museum are open daily, including Sundays and Public Holidays, from 9:00am to 5:00pm. Our office's opening hours from Monday to Friday: 9:00am - 5:00pm, and Saturday: 9:00am - 1:00pm. We're closed on Sunday and Public Holidays. Contact us or get directions to our location. Penang CNY Cultural & Heritage Celebration is an annual event patronised by Penang State Government and Penang Clan Council（檳州各姓氏宗祠聯委會）, organised by Clan-Association Youth Penang（檳州各姓氏青年團聯委會） in conjunction with Chinese New Year. This event take place at George Town, Penang. George Town had been recognised as one of the UNESCO’s World Heritage Site, you shall not miss this Chinese New Year Open House in Heritage City. 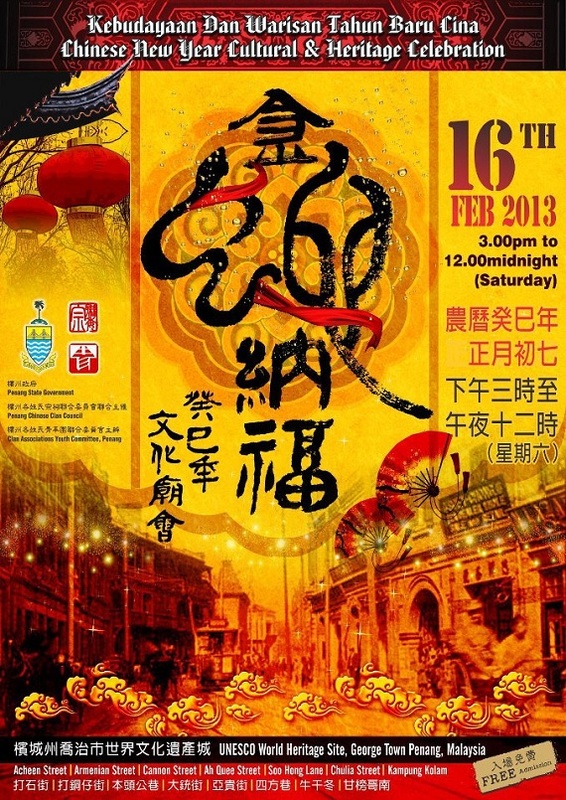 For those who had enjoyed the fun and happiness during Penang Chinese New Year Cultural & Heritage Celebration 2012（祥龍獻瑞慶壬辰新春文化廟會2012）, we are going to bring the event back on 16th February 2013, 3pm-12midnight, at George Town Heritage Site, Penang, Malaysia. Remember to book your timetable or flight tickets, come to Penang and join this huge event!